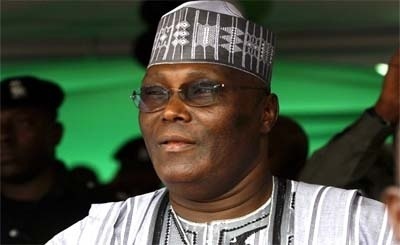 Atiku Offers Scholarship to Nigerian Students - Corpr! Former Vice President, Atiku Abubakar, has said he is offering a full scholarship through an #EducationSolutions essay contest. Announcing the contest on his new blog site, Atiku said he has contributed a small fortune in scholarships over the last 10 years through yearly endowments. Atiku said he would like to combine that traditional scholarship award with an opportunity to let young Nigerians develop their ideas about how to save Nigeria’s education system. Yesterday, I mentioned that I would be announcing something specially for young Nigerians. Your anticipation makes me glad. Thank you. He said education holds the potential to transform lives by liberating human beings from poverty, ignorance and diseases with reference to his personal story. Atiku said his recent activities on social media, has given him an insight that the solutions to Nigeria’s education problems are best known by the users of the system, as young people; are the ones currently bearing the brunt of the failings. I have always talked about how I attended school very much against the wish of my late father. My dad was actually sent to prison for barring his son from access to education. As my biography makes clear, I only started attending school after the authorities put my father in jail. Amazingly, this poor boy who could have missed the chance of an education grew to occupy one of the highest offices of the land. This is the power of education; it holds the potential to transform lives by liberating human beings from poverty, ignorance and disease. Because of this personal example, all my life I have aspired to, working with fellow countrymen and women, create and expand access to education for every child in the land. More than twenty years ago, long before I became Vice President, with the able support of my wife, I started my first school, a kindergarten/primary school. In the time since then the venture has expanded to university level, providing world- class education to multitudes of young persons – many of whom are indigent students who get generous concessions and scholarships, because of my firm belief that poverty should never be allowed to stand in the way of a great education. But in all of this I have remained dissatisfied. I have always felt that I could do more, that Nigeria could do more, for the proper education of our young people. And then I recently got active on social media, an experience that instantly made me wish I had done this much earlier. The very insightful conversations I regularly have on the platforms have demonstrated to me that the solutions to Nigeria’s education problems are best known by the users of the system, our young people; the ones currently bearing the brunt of the failings. Over the last 10 years, I have contributed a small fortune in scholarships, through yearly endowments. This year, I intend to continue that tradition, but with a small twist: I would like to combine that traditional scholarship award with an opportunity to let young Nigerians develop their ideas about how to save Nigeria’s education system. So, this year, one full scholarship, tenable in a Nigerian or foreign institution, will be going to the winner of a competitive process – an essay contest. There will also be consolation prizes. My office has helped to put together a formal process for applying for the scholarship. I sincerely hope this competition will spark interest among the most important stakeholders in our nation’s schools, Nigeria’s passionate and thoughtful young people. I encourage you to please spread the word. And may the best woman or man win. level at a government-approved institution of learning within or outside Nigeria. Entries are expected to be written in English, and be between 2,000 and 5,000 words. The organisation adds that all essays should be submitted on or before August 31, 2013. Next story My NYSC Story: The Good, The Bad & The Funny Things You’ll Find in an NYSC Camp! Travelling Prospective Corps Members Involved In Accident.